Even in times of great adversity there can be moments of personal triumph by Allah’s decree. 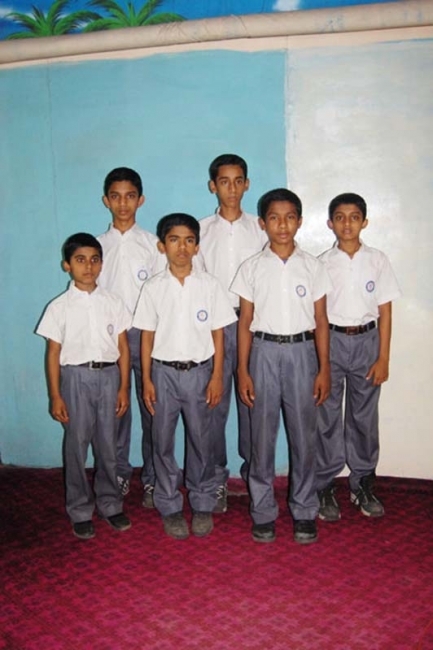 For the boys and young men who make their home at Zakat Foundation of America’s (ZF) Orphan Center in Dhaka, Bangladesh, education is an important part of making the best out of a difficult situation. From the support offered by ZF donors for our Orphan Sponsorship program, all of the residents of the Orphan Center attend a quality English language medium private school. Recently, six of the younger boys received merit-based academic scholarships. This was a great achievement considering that only 9 children in total from the school were offered scholarships. The success of Nesar Uddin, Abu Yousuf, Nur Hossain, Nazmul Hoque ,Habibur Rahman and Kamrul Hasan is a reflection of their dominating academic performance, Alhamdulilah. Alhamdulilah, now Nur Hossein and the other boys are at the ZF Orphan Center where ZF staff in Bangladesh work hard to provide them with a home -like atmosphere and supports their moral, spiritual and academic development.